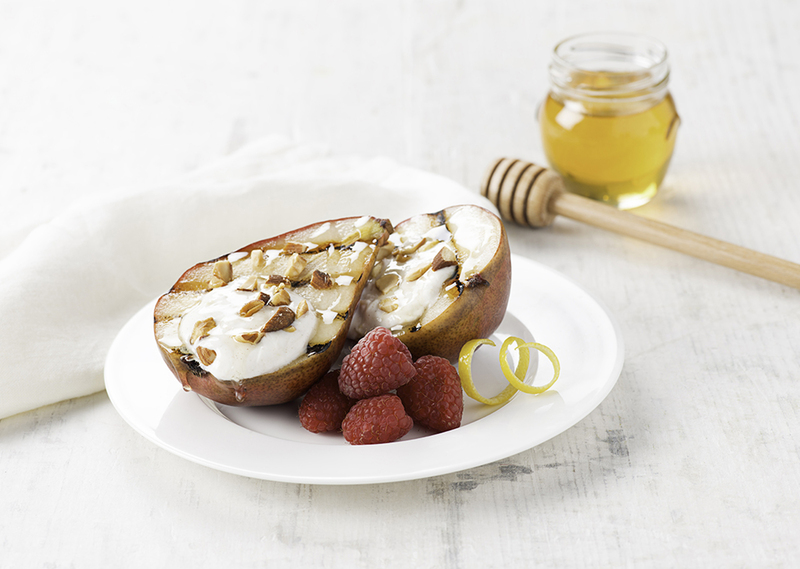 Ripe pears are grilled to perfection and served with Greek yogurt sweetened with honey for a simple and healthy treat. Preheat your George Foreman Grill for 5 minutes with the lid closed. Toss pear halves with melted butter. Place on grill, cut side down, and cook for 2 minutes. Turn and cook for an additional 1 to 2 minutes or until golden and tender. Meanwhile, stir yogurt with honey, lemon zest and cinnamon. Serve pears with honeyed yogurt and almonds. Drizzle with a little extra honey, if desired. Tip: Serve with fresh raspberries for added fruit.